Al Ain, 3 March 2010 Under the towering leadership of H.H. The President Sheikh Khalifa Bin Zayed Al Nahayan, there have been continued efforts to increase UAE dates productivity in order to make better use of the date palm industry and to produce an agricultural leap that has changed the face of the UAE desert. This will be point of special attention at the Fourth International Date Palm Conference which will illustrate the special attention and priority given by His Highness to this important economic sector. The International Date Palm Conference is the fourth one in a series of international conferences organized by UAE during the last 11 years. The previous conferences were held in March 08 -10, 1998, & March 25 – 27, 2001, and 19 – 21 February 2006. Date palm scientists, experts, and senior official! s from around the world will be able to exchange their know-how and experiences. The Honorable Ministers of Agriculture of the GCC member states will be invited to attend the conference in order to disseminate the up-to-date knowledge and recommendations at the official level. Nearly 300 participants from 40 countries and several international organizations have already confirmed their participation to the Fourth International Date Palm Conference. Interesting abstracts are being submitted by participants from the following countries: Albania, Algeria, Australia, Austria, Bahrain, Bangladesh, Canada, Costa Rica, Egypt, Finland, France, Georgia, Germany, Greece, India, Indonesia, Iran, Iraq, Italy, Jordan, K.S.A, Kuwait, Libya, Malaysia, Morocco, Namibia, Nigeria, Oman, Pakistan, Palestine, Qatar, Spain, Sudan, Syria,, Tunisia, Turkey, U.A.E, U.K, U.S.A and Yemen. The objective of the conference is to provide an opportunity for updating scientific information on different aspects of the date palm production chain from farm to consumers. It is also a forum to compare the recent experiences in the United Arab Emirates with those of other date growing countries. Above all it is to foster international technical cooperation on different aspects of date palm production chain. The theme of the conference is to explore new dimensions and challenges for sustainable date palm production under the patronage of H.H. Sheikh Khalifa Bin Zayed Al Nahayan, President of UAE. The conference will be in the international limelight due to the renowned speakers who will be attending the conference from all over the world. Besides there will also be senior officials from different date growing countries. A wide range of scientific subjects related to all aspects of date palm production will be presented. What makes this event much awaited event in haloed circles is: the scientific input from many countries of the world; innovative approach to scientific sessions; informational exhibition; and tours to the various sites of technical or tourist interest around United Arab Emirates. The Conference has been slated to start from 15th of March at the Emirates Palace Hotel, Emirates Palace Abu Dhabi. The main subjects that will come under debate will be as follows: Current Status of Date Palm Cultivation in the World; UAE date palm cultivation experience; Impacts of date culture on the environment and desertification control; Date Palm Research and Development; Molecular and genetic engineering; Germplasm and propagation; Improved date palm cultural practices; Date palm protection – focus will be on the most important diseases, pests and major diseases of date palm; and physiological disorders. With a view of enhancing the production and proliferation of date palm research in the UAE and rewarding those individuals and institutions that have contributed substantially to it – The Khalifa International Date Palm Award was set up. The Award mission is to encourage people involved in cultivation of date palms: researchers, growers, exporters, whether individuals or institutions, and to honor figures engaged in the date palm industry at the local, regional and international levels. The conference and the award are some of the radical steps that the government has undertaken to make UAE’s landscape abundant in more ways than one by bringing the desert soil alive with the ever-increasing date palm development. 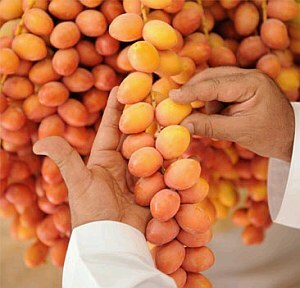 Earning a Guinness Book Award for planting the most number of date palms was no surprise last year for UAE. Duration: Monday – Wednesday 15 – 17 March 2010. Venue: The Conference will be held in Abu Dhabi City. • N.B: Several round tables and brainstorming meetings will be organized. 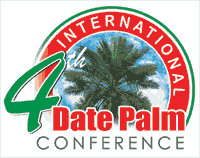 The Fourth International Date Palm Conference is open to all people interested in date palm industries. The conference provides a forum for updating on current issue importance to this industry as well as information on new products and services. Participants will be from the public and private sectors who deal with the aspects of the date palm from producer through consumers. • Biotechnologists, Regulators and Consumers. 1. Date Palm photo gallery with pictures and photos of the organized International competition. 2. Date Products and by-products. 3. Date Palm Extension Program illustrating modern cultural practices. 4. Control of the Red Palm Weevil. 5. Date palm research program in various fields. 6. National handicrafts made from date palm leaves and other by-products. 7. 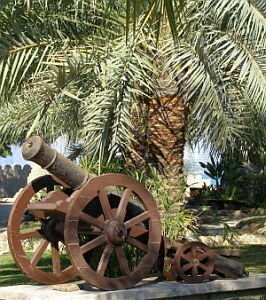 Modern Agricultural Machinery dealing with Date Palm Cultivation. 8. Date Palm Tissue Culture Propagation. 9. 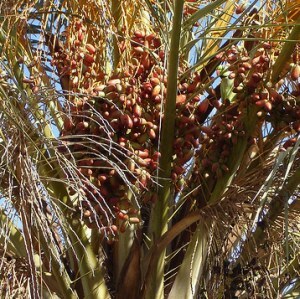 Date Palms and Food Security. Dr. Abdulla Al-Khanbashi, Vice Chancellor of UAEU, Conference’ Chair. Prof. Ghaleb Ali Alhadrami, Dean College of Food and Agriculture (UAEU). Chair Scientific Committee. Prof. Abdelouahhab Zaid, Chief Technical Advisor, Director, UNDP-UAE University, Chair, Organizing Committee. Prof. Ghaleb Ali Alhadrami, Dean, CFA, UAEU, Chair. Dr. Mohammed Abdul Muhsen Salem, CFA, UAEU. Prof. Mahmoud Abdulrahman Alafifi, CFA, UAEU. Dr. Mohamed Gheblawi, CFA, UAEU. Dr. Wissam Ibrahim, CFA, UAEU. Dr. Ibrahim Omer Mohamed, CFA, UAEU. Dr. Shyam S. Kurup, CFA, UAEU. Prof. H. Hughes, Colorado State University, USA. Dr. E. Blumwald, University of California Davis, USA. Dr. E. Arias, Food and Agriculture Organization of the United Nations, Italy. Prof. Abdelouahhab Zaid, Director, DPRDU-UAEU, Chair. Eng. Mouza Nasser Al Shamisi, DPRDU-UAEU. Dr. Salih Abdu Al Sharaby, CFA, UAEU. Dr. Ibrahim E.H. Belal, CFA, UAEU. Dr. Abdel Wahed Husni Al-Amouri, CFA, UAEU. Eng. Ali Mohamed Ali Antali, CFA, UAEU. Eng. Galaleldin A. Ibnaouf, CFA, UAEU. Eng. Aisha Al Jabri, CFA, UAEU. Mr. Fadil Mohamed Al Amri, Director, Community Relations Dept., UAEU. Mr. Salem Al Kaabi – Director, General Service Department, UAEU. Mr. Mohamed Dissawi, Office of the Finance Auditor, UAEU. Mr. Jihad K. Jihad – Printing Department, UAEU. Mr. Mamdouh Haikal – Centre for Educational Technology (CET), UAEU. Mr. Faraj Kotb Faraj – Centre for Educational Technology (CET), UAEU. Mr. Moamar Abdel Ilah, Purchasing Dept., UAEU. Mr. Yaqoob Yousuf, Community Relations Dept., UAEU. Mr. Ali Mohamed Fadil, Community Relations Dept., UAEU. • Other important sites and historic places. The participation in these post conference tours will be on a voluntary basis and will take a full day (Thursday 18 March, 2010). Arab Center for Genetic Engineering and Biotechnology. and other Organizations to be announced. More details can be had from the following contact details.